First of all, being a business owner takes a lot of work. You need to perform extensive research on everything involved. One tool that entrepreneurs need is a good invoicing and accounting software. I will discuss one that will be useful for you. This post may contain affiliate links. Read the Disclosure page for more information. 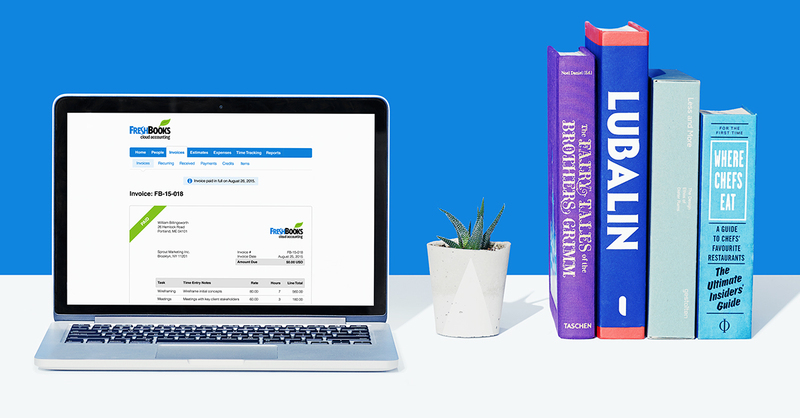 FreshBooks, an invoicing and accounting software. A company that provides software that helps small businesses with their bookkeeping. Also, they make accounting and invoicing simpler and can be accomplished automatically. Certainly, this automation not only saves time but it also provides for better accuracy. This company started back in 2003 by a CEO of a design company. He who was running a small design agency lost his work after he accidentally saved over an invoice. Hence, this inspired him to start Freshbooks. Since then, the company has grown significantly where over ten million people have used application. They are always dedicated to providing the best services to all its customers. It was made possible using the 4E philosophy of the company. The 4Es stands for Execute Extraordinary Experiences Everyday. This 4E philosophy has helped the business be able to satisfy the needs of its customers. As a result, the company had their rapid growth. The 4E philosophy also enables the company to be able to design its product in a way that the customers will get what they need. Furthermore, the mission of the business is to reshape the world to suit the needs of the self-employed professionals perfectly. They employ a team of professionals who are highly skilled to ensure everything runs smoothly. Even more, Freshbooks makes it possible to create invoices within seconds. Indeed, it is helpful because it makes payments faster. By using this invoicing and accounting software, one does not need to waste time creating invoices or following payments. Instead, one can get time to concentrate on other essential aspects of the business. You can conveniently access this software anywhere. Furthermore, this enables professionals to be able to monitor their activities regardless of where they are. Another quality of FreshBooks is that you can easily integrate with other applications. Apps like time tracking or any other software can easily incorporate themselves into the software. Hence, there is freedom to use other applications that are part of running your business. All that one needs is to follow the few simple steps of this invoicing and accounting software. Consequently, it comes with an assortment of powerful features which helps in automating tasks. This includes but not limited to organizing expenses, invoicing and time-tracking among others. With just a few clicks, it is possible to get the various features provided by the application. Freshbooks offers a free trial to make sure it suits you. The one month trial period gives the people who are new to the application time to experience the benefits that come with it. Furthermore, they have a helpful support team and desk ready to answer questions. 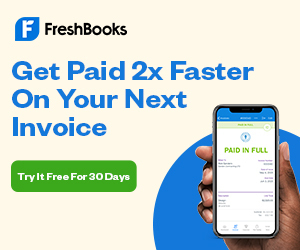 FreshBooks has a lot of benefits which aims to help small businesses be able to simplify their bookkeeping conveniently. Certainly the best invoicing and accounting software for me! Get the free trial here! « How to have a simple and fun Jurassic World Birthday Party for a 10-year old boy | Best gift ideas and a checklist included!